Natural gas is on track to overtake coal as the most popular fuel for electricity generation in the U.S., where nose-diving prices and tougher regulations have pushed a number of producers to seek bankruptcy protection. 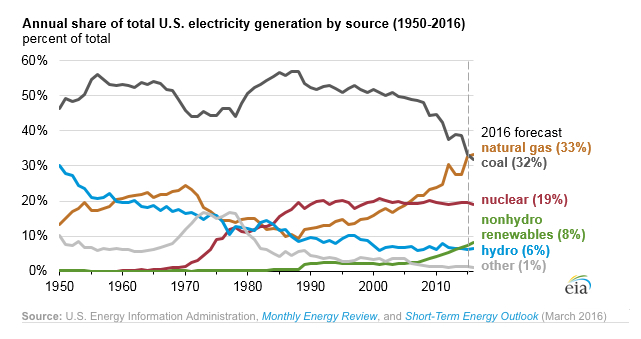 According to data released by the U.S. Energy Information Administration (EIA) last week, natural gas is set to provide 33% of generation in 2016, while coal — which once fired half of the country’s power needs — will likely fall to 32%. 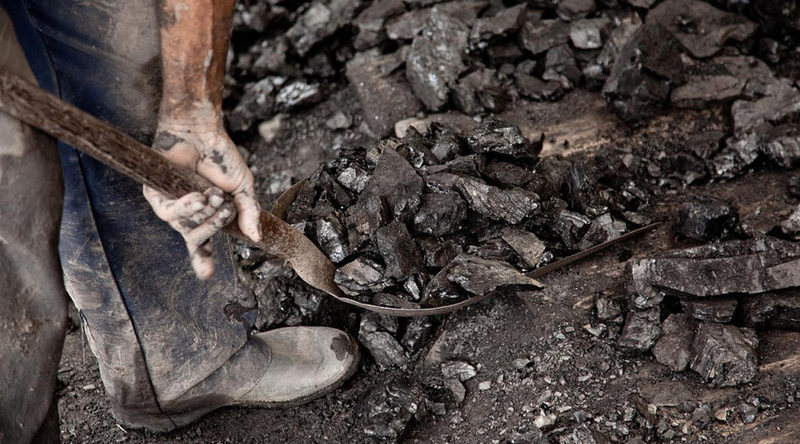 2016 would be the first year that coal loses out to natural gas. That would be the first time that coal loses out to natural gas on an annual basis, although it has happened every month since April 2015. 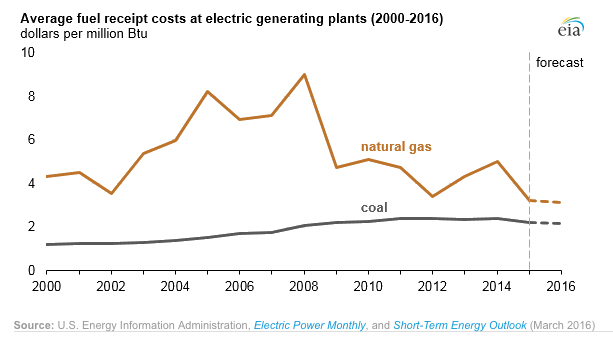 Before 2008, coal was less expensive to burn than natural gas and so the fossil fuel accounted for half of all U.S. electricity generation between 2000 and that year. But since then, coal use has declined sharply and a growing number of banks —including Morgan Stanley and Wells Fargo — are now pledging to cut financing to the industry. Renewables have increased their share of the electricity market, too. EIA estimates show non-hydroelectric generation, including wind and solar power, will be responsible for 8% for this year’s domestic electricity supply. Hydroelectric power will have a 6% share, while nuclear power will remain fairly level year-over-year at 19%.